Pastor E.A Adeboye retires as General Overseer of RCCG Nigeria, Appoints new GO. GO, left... New Nigeria Overseer, right. 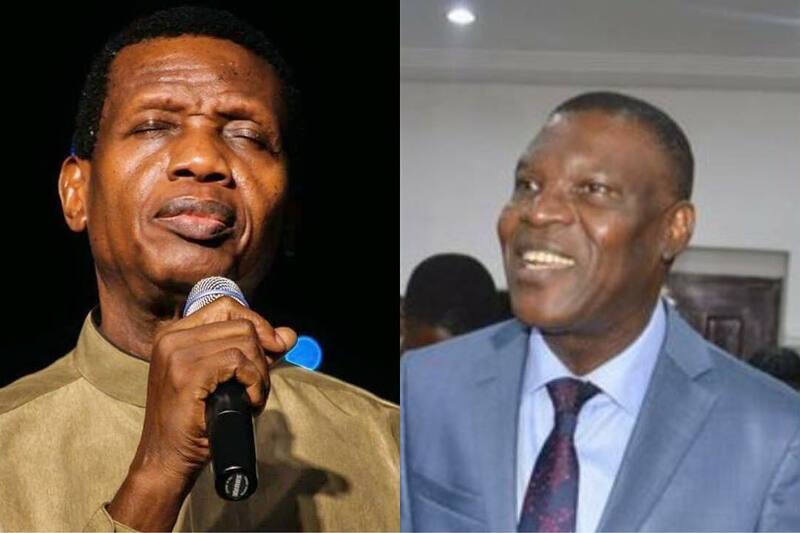 On Saturday, at the Annual Ministers Thanksgiving at Shimawa, in Ogun State, Pastor Enoch Adejare Adeboye the incumbent General Overseer of the Redeemed Christian Church of God (RCCG) named a new Overseer for the Nigerian section of the church, Pastor J.O Obafemi. The newly appointed Overseer for the Nigeria office, Pastor Joshua Obayemi was a deputy in charge of Finance, former Special Assistant to the General Overseer (SATGO) and a member of governing council, before his appointment. Adeboye also appointed Pastor Johnson Odesola, who was the Special Assistant on Administration and Personnel, as the church new Secretary. Are you confused? No, don't be... Adeboye had to handover to another person due to some policies or laws from the FG on General overseers. He isn't the only one affected. He is still the General overseer for RCCG worldwide while Pastor Joseph is the overseer for RCCG Nigeria. "Pastor Enoch Adejare Adeboye remains the General Overseer, Worldwide of The Redeemed Christian Church of God, RCCG. A statement signed by Leke Adeboye, the clergyman's last son and Personal Assistant said the clarification is coming on the heels of misrepresentation of Pastor E. A Adeboye's announcement at the Annual Ministers Thanksgiving held at the redemption camp today that the Church Nigeria is now to be led by Pastor Joseph Obayemi. He also appealed to members to educate people around them and not spread inaccurate information stressing that Pastor E.A Adeboye remains the General Overseer of RCCG Worldwide."